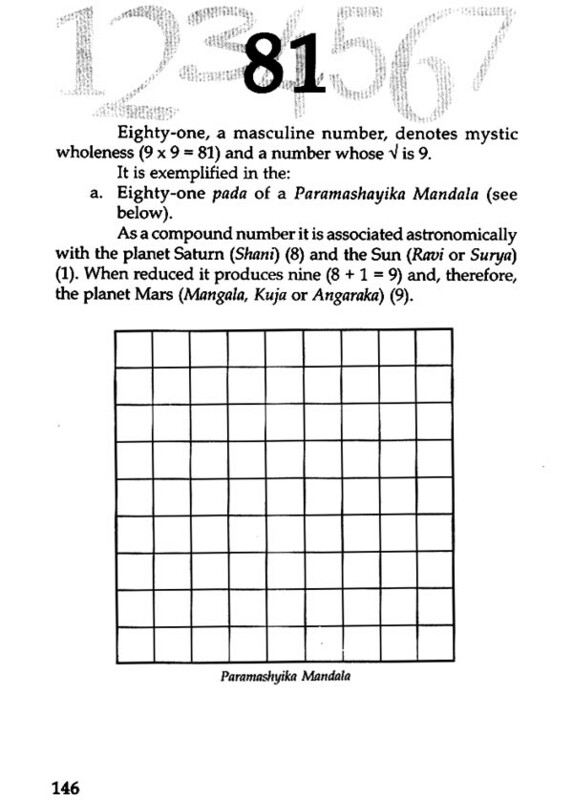 In his effort to find an explanation for the unknown, the mysterious around him, the ancient man saw in "numbers", among other things, a high significance. 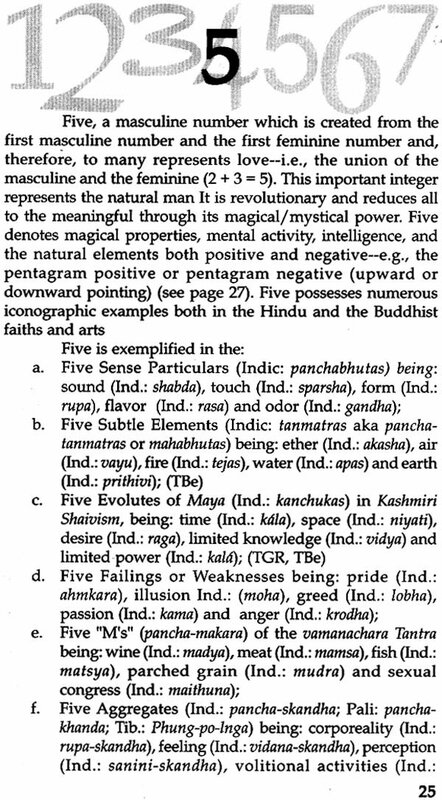 And frequently used them to explain the ineffable or even predict through "numerology". Astrology became a parallel, interwoven science  which, like numerology, was used to predict the future and also to determine propitious times for venturing upon an important activity: be it the naming a a child, marriage, or construction of a building. Numbers, in fact, have always held a strong fascination for all various cultures of Asia. 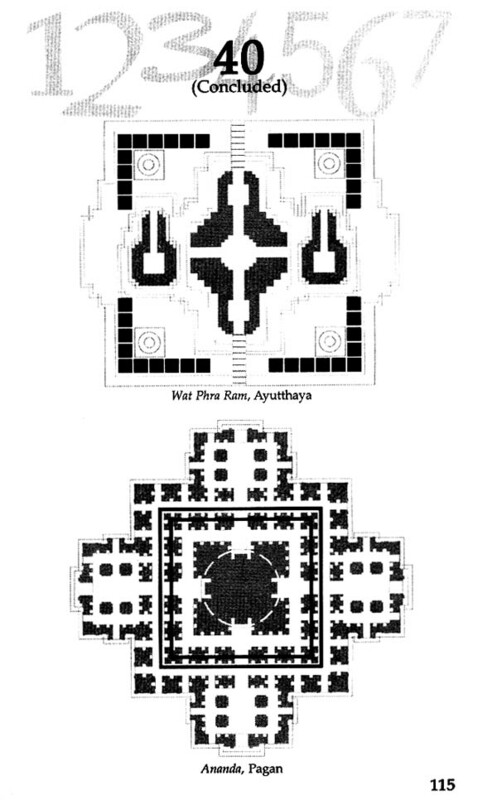 Considered to inhere both mystic and iconic significance in the Hindu and Buddhist worlds, their importance was emphasized in celebrated architectural treatises, like the Manasara and the Mayamata and they, (together with other complex procedures), were invariably utilized by the priest-architect (the sthapati) in the planning, design and construction of temples and other buildings. 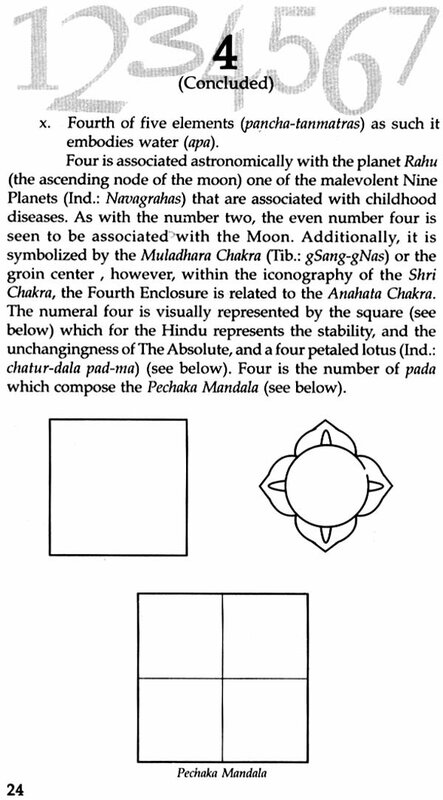 Not only the numbers, but even the geometric forms (like the circle, square or rectangle) came to have numerological and, consequently, iconographic importance in these cultures. 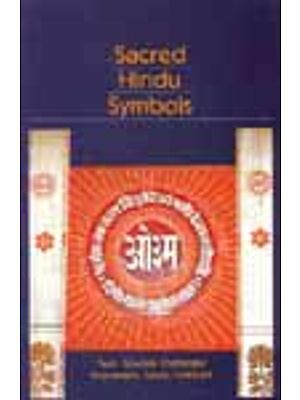 Yet another fascinating work from an internationally known scholar of Oriental Art, the book highlights the true iconographic import of numbers/numerology in Hindu and Buddhist practices  bringing out, in detail, the unique properties of each icono-graphically significant number: ranged between 'one' (1) and 'one thousand twenty four' (1024). 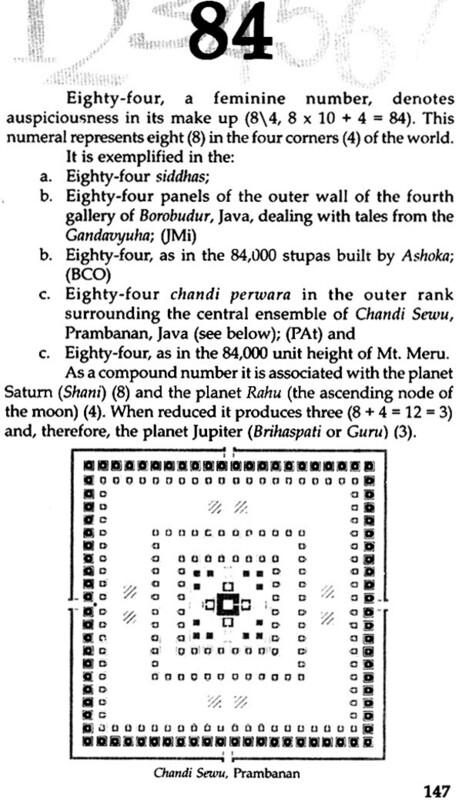 Professor Bunce here perceives 'numerology' not as the arcane or occult science, but as an academic proposition concerned with the ethos of numbers and the genesis of their importance within the Hindu and Buddhist art, particularly architecture. Fredrick W. Bunce, a Ph.D. (Comparative Arts) from the Ohio University Athens, Ohio, USA, is a cultural historian of international repute. Now Professor Emeritus of Art, Indiana State University, Terre Haute, Indiana, he has lectured at learned forums and, published in a variety of art-related themes. And has held many a solo exhibition at different art galleries, art museums and universities; besides his participation in the artist's guild'/faculty/other ventures of the kind. A scholar with varied intellectual/research concerns  notwithstanding his specialisation in iconography particularly Oriental and Buddhist Arts, Professor Bunce has been legitimately honoured with certain notable awards/ commendations, and is listed in Who's Who in American Art and also the International Biographical Dictionary: 1980-present. Among his published books are: Encyclopaedia of Buddhist Deities (2 vols. 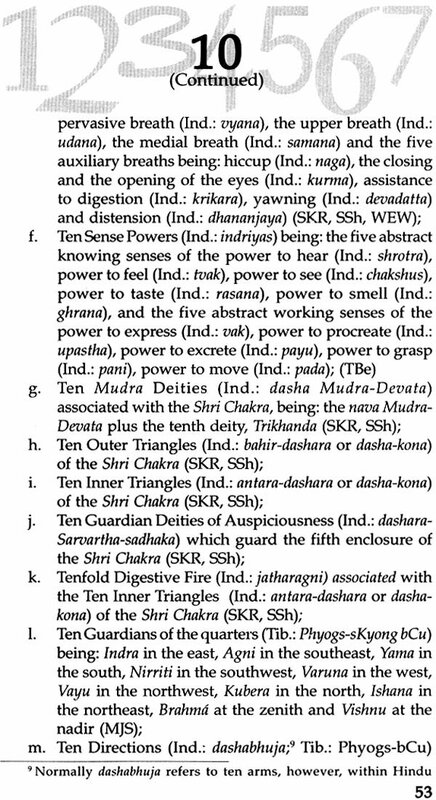 ); Encyclopaedia of Hindu Deities (3 vols. ); Dictionary of Buddhist and Hindu Iconography; Yantra of Deities and their Numerological Foundations; and Iconography of Architectural Plans, all published by D. K. Printworld. 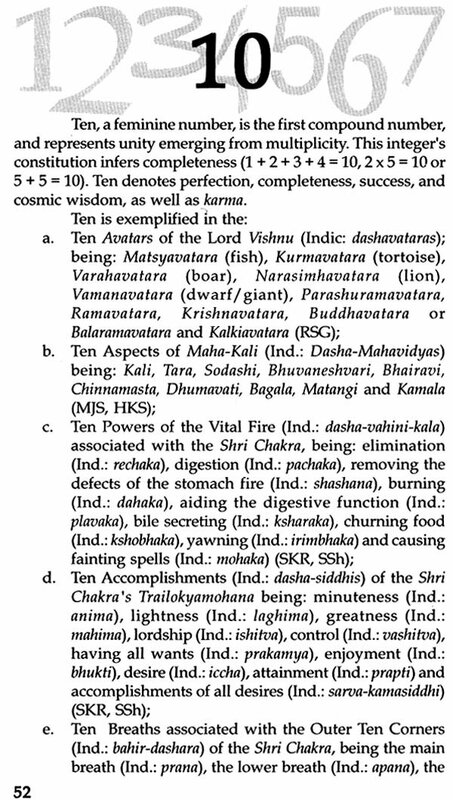 Several years ago, while working on a manuscript, still in progress, I saw that numbers were an important consideration in virtually as aspects of Hindu and Buddhists art. I included in that study an abbreviated section dealing with numbers and numerology. 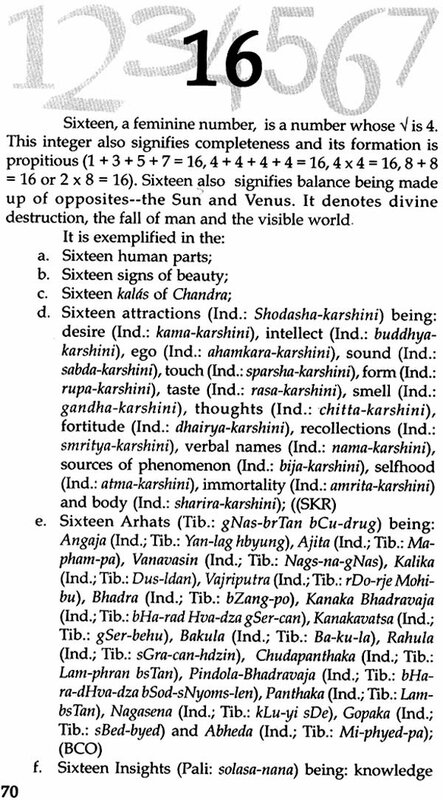 Numerology, not based upon the arcane and occult 'science', but more concerned with the ethos of numbers, the genesis of their importance within Hindu and Buddhist art, particularly architecture. There are numerous studies which deal with numbers within literary texts, they are noted in the "Bibliography." 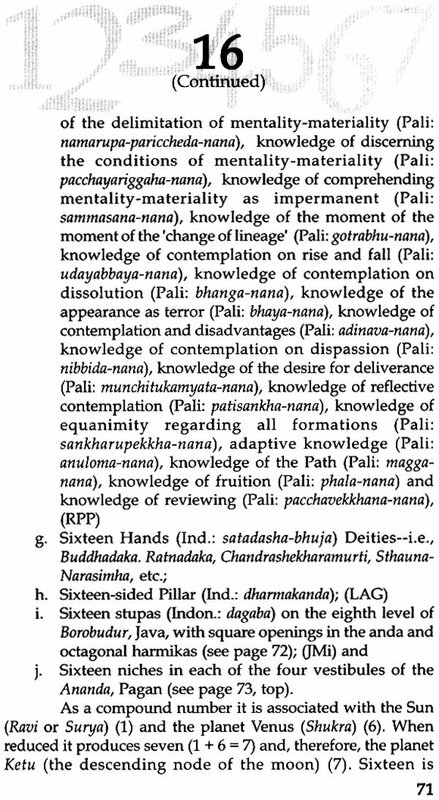 Since that time, I now feel that it would be efficacious to produce a short tome dealing with numbers in the Buddhist and Hindu worlds. The following is but a shallow dip into the vast well. "In order to explain the unknown, the ineffable, humankind has sought out associations or sources to explain these conundrums. It was early noted that there was a relationship between the phases of the moon and the tides. The concept of neither the earth's rotation or even that of the moon was know or fathomed, nor was the concept of gravity understood. However, the twenty-eight day cycle was calculated, noted and became an important number. Likewise, the circle, a form that appeared frequently in nature was also considered as a source of some importance-the number one was ascribed to this form. The nuclear or core family of a father, mother and child-three-and later the trinity (The Lords Brahma, Vishnu and Shiva) were seen as having special significance. The square later assumed status with its four equal sides and equal angles-four, too, assumes status. So, ancient man saw significance in numbers and frequently used them to explain or even predict through the "science of numerology." Astrology became a parallel, interwoven "science" that was also assiduously practiced as a way of understanding things unknown or unseen. Together, they were employed to fathom the unknown, to predict the future." 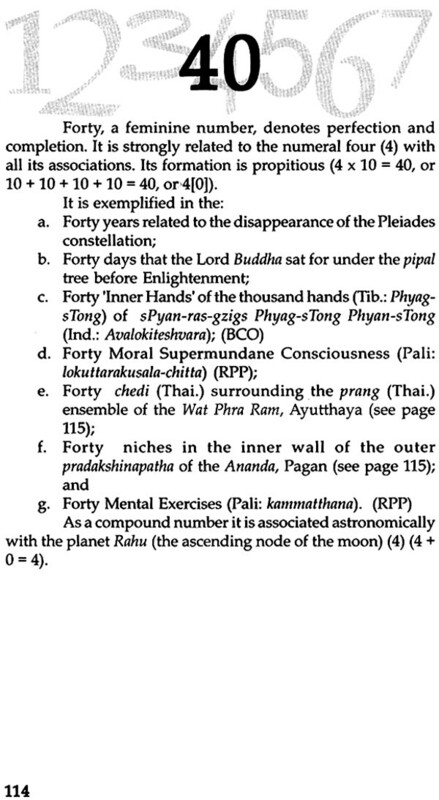 Within the Buddhist/Hindu world the philosophy of numbers, the ethos of numbers, the meaning of numbers beyond their numerological application were, for the most part, intuited and understood by the priests (Brahmins) and the architects (sthapati). Within the various treatises-e.g., the Manasara or Mayamata-appeared ratios, relationships and numbers, the iconography of which was understood by the priests and/or architects. 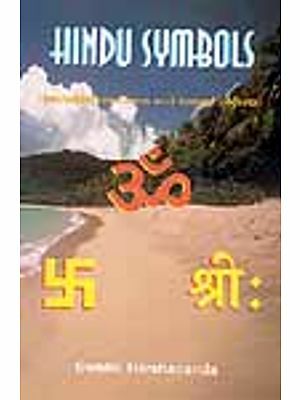 (The science of) numerology, on the other hand, which frequently was employed to predict ones future, was applicable to the sthapati's endeavours in as much as the iconic meanings were utilized in the design and construction of temples and other buildings." Numbers have always held an important and particularly far reaching fascination for all the various cultures of Asia. The "magic square," in which equally divided squares, the sum of which, in any direction, is the same. Within both the Hindu and the Buddhist traditions, numbers have important mystic and iconic significance. Not only the numbers, but also the geometric forms which are associated with certain numbers are of considerable importance in these cultures."